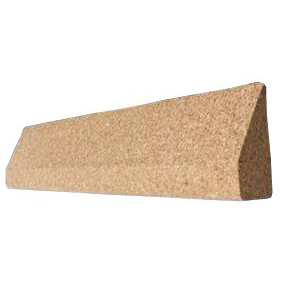 Home > Props > Blocks & Wedges > Cork Yoga Wedge 20" x 4" x 0.236"
20" x 4" x 0.236"
This prop is great for assisting in poses such as downdog, and is also great for taking forward forwards into a deeper stretch. Love this block! There were purchased as gifts for instructors. Both instructors were amazed at the easy of use. Highly recommend for both beginners and advanced enthusiasts. Love the cork yoga wedges. They have some traction so the hands don't slip when using them for Adho Mukha Svanasana.